Bracelets are given the least importance at times when one is looking out for accessories. One only chooses to wear them when they run out of options. If you are doing so, then you are definitely underestimating this piece of jewellery. We have listed down 5 minimal bracelets that you’ll love and would want to wear on a daily basis. 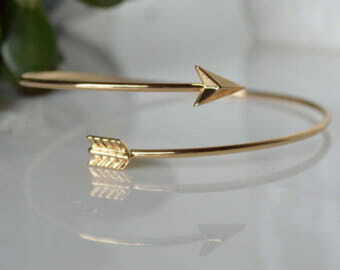 These are the simplest bracelets that you’ll find in the markets. It’s because of this simplicity that they look elegant and stylish at the same time. You can easily pair this alongside your watch and wear it on a daily basis. These bracelets are one of the most insta famous and you’ll see so many of them sporting it. It adds a chic vibe and at the same time looks elegant as well. Just let this dangle in your hand and you are good to go! 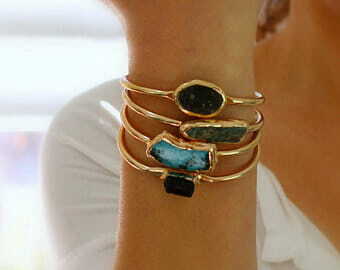 Single stone bracelets are one the best human creations. Because of the irregularly shaped stone place in the centre the bracelet gives the feel of antique jewellery, and who doesn’t love antiques. They can be can be paired either with your workwear or any traditional outfit. If diamonds are your ultimate love then this one is definitely for you. They look elegant, classy and delicate which is why they are a must-have in everyone’s collection. You can easily wear it on daily basis without any hesitation. 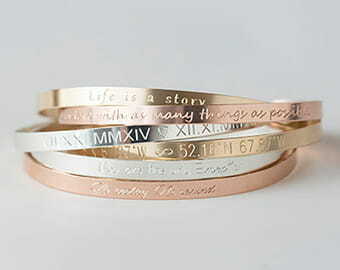 These bracelets are quite similar to the cuff bracelets, the only difference is that they are personalised. They give you the freedom to add your personal touch to them. And who wouldn’t be wanting to wear this every day when it has so much meaning to it.